It has been ten years since any movies have been made about the Star Wars universe. Granted there was Star Wars: The Clone Wars animated series filling six of those years. That series fed the fans’ appetites and did not leave them starving in the cold. But as rich and robust as that series was in content, it was more like an Hor D’oeuvre merely whetting the palate. As the last episodes were consumed greedily like the remaining crumbs of a well-made cake, a new series was slapped down on the table for the fans to examine and wolf down. This new series, Star Wars: Rebels, is another appetizer holding off the hunger that the fans feel consuming their spirits. Like a family awaiting Thanksgiving dinner where the turkey is taking too long to cook, they are restless. They want the feast that Disney promised them. Not just merely the feast, but the sumptuous main courses which are Episodes VII, VIII, and IX. However, one of those side dishes promises to be a very delectable platter. 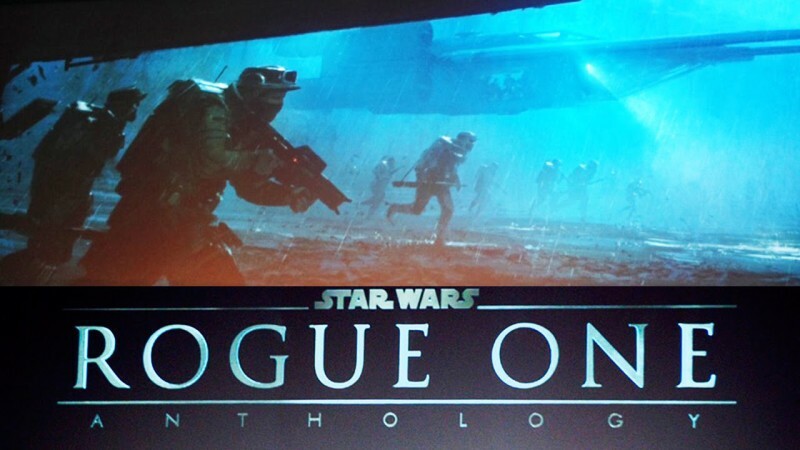 Rogue One is an anthology story which takes place shortly before Episode IV: A New Hope. 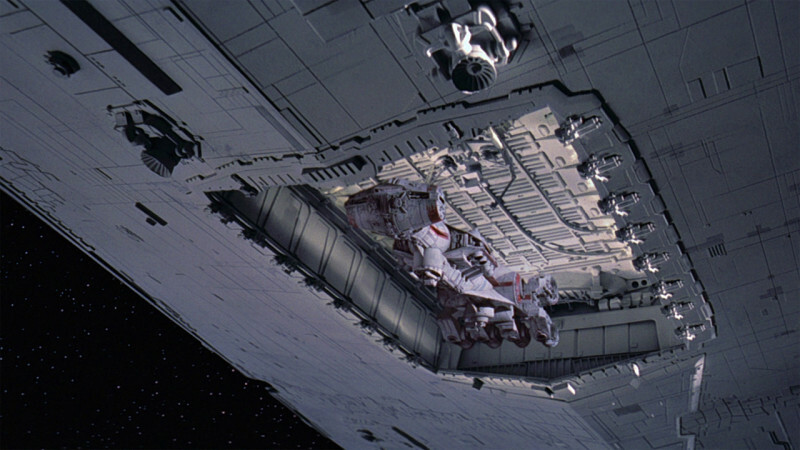 It is about a team of rebels tasked with stealing the plans to the Empire’s ultimate weapon…The Death Star. This is a very intriguing premise in that it is already known the plans are stolen and they do find their way to the proper hands; Princess Leia and rebels. These skilled hands manage to cook up a plan to wipe out this weapon. All of that can be seen in Episode IV: A New Hope. 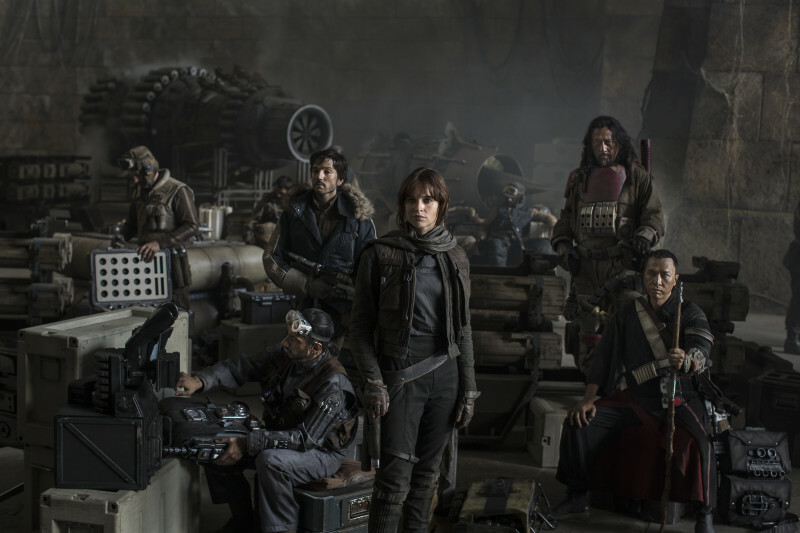 Whether this team in Rogue One is the one that succeeds or fails will depend on the perspective of the filmmakers. Since Disney owns Lucasfilm, and Disney likes to dole out family friendly fare, one could easily assume this movie would be about the team that succeeds. Granted this team will run into many hardships along the way, but they will find the grease they need to slide by the opponent and into the winner’s circle. Sure along the way some of the characters will get roasted and possibly shish-kabobbed, but that happens in most of the other movies. When the smoke clears, the last scene could be of the rebels who made it out of the frying pan. These two or three could be seen handing over the plans to another rebel agent. This agent would, or should be recognizable. Here is where speculation will take a dive into the deep fryer. At this point, Disney and Lucasfilm could go a standard route and have the fans make the assumption that Episode IV: A New Hope follows immediately after that event. That would settle the stomachs of most fans though it would be a somewhat bland experience. The second route Lucasfilm could take, and this would be something to savor, would involve that rebel agent again. That agent could be non-other than Hera Syndulla, captain of Phoenix Squadron. She will accept the package and take off into the wilds of space. The film will end there as the credits flash up onto the screen. However, the story would continue in an episode of Star Wars: Rebels that could air sometime midseason. Phoenix Squadron and the Corvette cannot stay long because Imperial ships have just dropped out of hyperspace. The Imperial fleet begins to attack. Phoenix Squadron runs interference for the Corvette. Most of the Imperial fleet engages Phoenix Squadron. 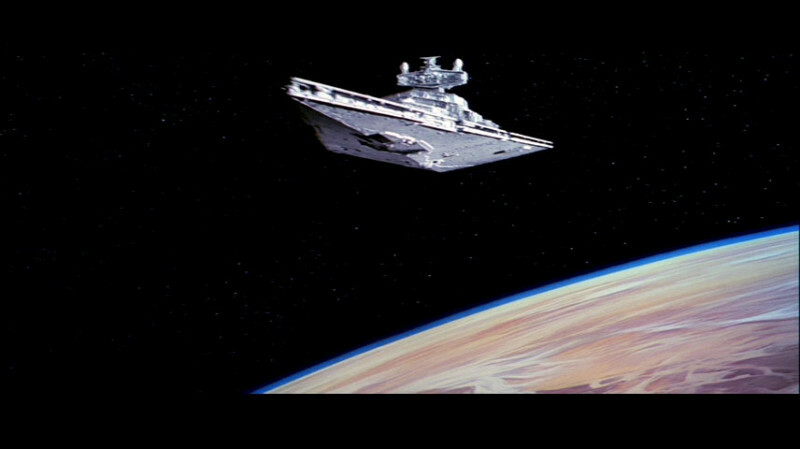 One Star Destroyer follows the Corvette, because one passenger has a suspicion about that vessel, setting up the opening scene in A New Hope. Disney loves to tie all of their shows together in some way, even when it seems somewhat random. All of the “tweeny” sitcoms are linked somehow usually by one character “hopping” or guest-starring in the other show. For example, Jessie Prescott of the show, Jessie, appears on three other Disney series. Two of these are Austin & Ally, and Good Luck Charlie. The third one seems a bit odd. It is Ultimate Spider-Man, which is a Marvel property and it is animated. Marvel is owned by Disney which makes sense in that way and since both characters live in New York, it just so happened they ran into each other. I can only imagine Leia bumping into Elsa some time in the near future. I hope I am not planting any seeds for this. Another example is the character, Bailey Pickett. This character crossed over into three series; Hannah Montana, Wizards of Waverly Place, and The Suite Life on Deck. One more example is the character, Emma Ross. This character is in four series: Bunk’d, Austin & Ally, Jessie, and K.C. Undercover. Given this penchant to link their series together like sausages and illustrate these shows take place in the same universe, it would not be too much of a stretch to see Disney bring the Star Wars movies and the series together to tell a more cohesive story. Or, rather continue the tradition of connecting the stories, though on a tighter level. Rebels is currently connected to the Clone Wars series by virtue of some of the characters from that series. Recently, Captain Rex, Hondo Onaka, and Senator Bail Organa have appeared as well as Ashoka Tano in a sweet roll. Lando Calrissian has shown up on Rebels to make one more connection to the Galactic Civil War Era (IV, V, and VI) movies. And of course, the Clone Wars series is tied to the Clone Wars Era movies (I, II, and III,) by Obi-wan Kenobi, Anakin Skywalker, and Palpatine to name a few. With Disney’s history for continuity and tight storytelling, the Anthology movies, of which two have been confirmed, should be neatly stirred and blended into this simmering stew that is the ever-expanding Star Wars universe. Disney has promised a smorgasbord of new shows that fans can gorge themselves on. 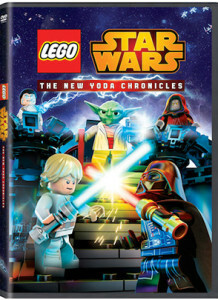 There are more episodes of the light and fluffy Lego Star Wars: The Yoda Chronicles being produced. In addition, there is another animated series called Star Wars: Droid Tales being served up on DisneyXD. A special treat Disney has mentioned they might whip up in their magic kitchen is a new Star Wars holiday special. Though the last one, which aired way back in 1978 left a very bad taste in the mouth of every fan. Like the traditional fruit cake of comedic lore, no Star Wars fan wants anything to do with it and it still leaves a lingering bitterness every time the name is mentioned. 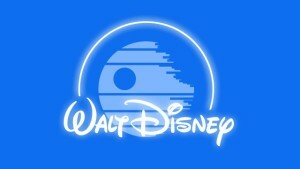 But who knows, maybe Lucasfilm with the help of Disney, can serve up a savory and sumptuous surprise this time.